At the time when you were getting your tattoo, you had probably thought that it would make you look cool, tough and unique. Or maybe, you just wanted to make a certain life experience more memorable. Whatever the reason, you have a permanent image etched in your skin, and it will be there for the rest of your life unless you decide to do something about it. Over the years, you may have undergone identity shifts, lifestyle changes and other circumstances that may cause you to regret your tattoo and want it removed. If that is what you want to do, you are not alone. The American Society for Dermatologic Surgery said that the number of tattoo removal procedures performed by its members rose about 52 percent between 2012 and 2013. Here are the top 5 reasons for tattoo removals. Many people show their love and commitment to their romantic partners by tattooing their names or images on their bodies. However, when love goes bad, they want to have the tattoos removed as soon as possible. Tattoos reflect people’s personalities and interests, but they may become less relevant over time as the tattooed individuals undergo changes in their lives. Those who got inked to express their admiration for their favorite bands may one day find themselves wanting to remove their tattoos as their musical tastes evolve. Young people are more likely to do things without proper consideration of the consequences. Getting a tattoo may seem like a cool thing to do at first, but it can be a cause for regret as they get older. Despite the fact that tattoos have become relatively common these days, they are still regarded as a sign of deviance and unprofessionalism by some employers. Generally, people who have visible tattoos are less likely to be hired or promoted than those who do not. Tattooing skills can vary greatly from one artist to another, and it is not uncommon for people to end up with unpleasant-looking tattoos. Just the thought that those tattoos will be there for good is enough to make them contemplate tattoo removal. 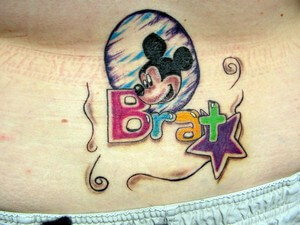 Tattoo removal is an intricate process, and it should only be performed by someone who has received proper training. If you are planning to undergo laser tattoo removal in Raleigh, NC, it is recommended that you pay a visit to BodyLase®. BodyLase® has highly-trained and experienced professionals who have an impressive track record in performing safe and successful laser tattoo removal procedures.